Drive for a Company that Cares for You and Your Family! drivers and their needs. We are able to offer our professional drivers respect, quality equipment, excellent benefits and high miles they deserve. Due to the increased demand for our services, our fleet is growing. • Home every other weekend with additional drive through time. • Most loads one pick, one drop or drop or drop & hook. No touch freight. 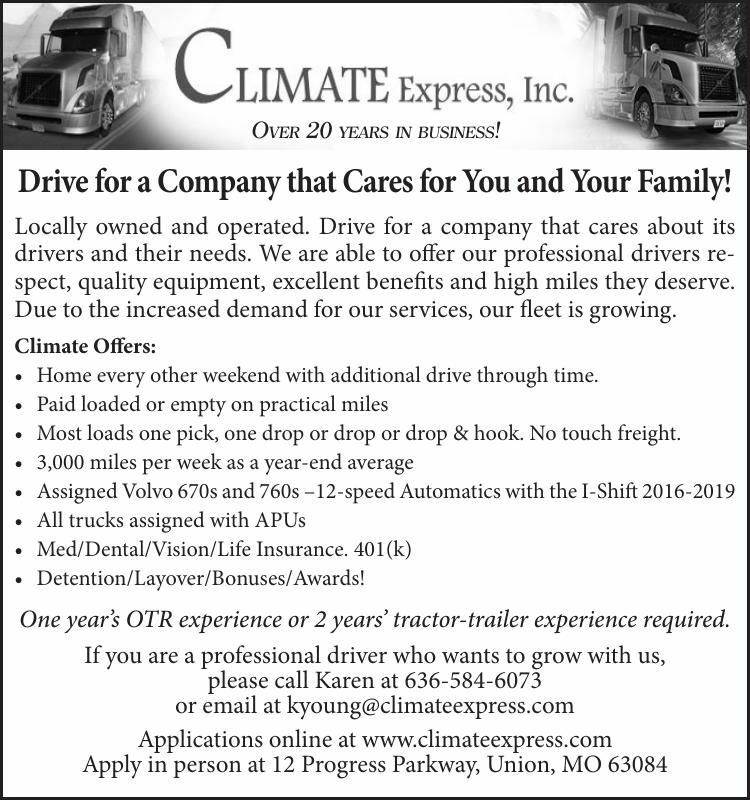 One year’s OTR experience or 2 years’ tractor-trailer experience required.